Turf Moor is an easy walk from the town centre. It should take no longer than 15 minutes, with clearly signed routes to the ground. The location of the stadium lends itself to the old-fashioned method of following the crowds. 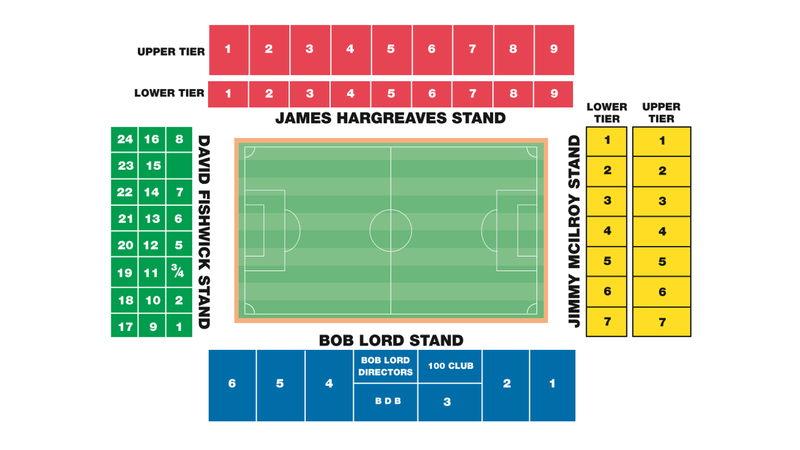 If you need extra help, you will find matchday stewards in place as you venture closer to the ground. The nearest station is Burnley Manchester Road. From here, exit the station and walk down Centenary Way, from where Turf Moor is clearly visible. When you reach the roundabout at the end of the road, turn right on to Yorkshire Street, which becomes Harry Potts Way. The ground is on your left-hand side. From Burnley Central, follow signs for the town centre and then head left towards the Gala Bingo Hall. From here, walk down Yorkshire Street and use instructions from above. Northern services from Blackpool North, Leeds, York, Manchester Victoria, Clitheroe, Blackburn and Wigan Wallgate. Trains travelling between Blackpool South and Colne. Stations on this route include St Annes-on-Sea, Lytham, Preston, Blackburn, Rose Grove, Burnley Barracks, Brierfield and Nelson. The bus station is situated relatively close to the ground, just off Centenary Way. Leave the station and head towards the Gala Bingo Hall opposite. Use the underground footpath and then head under the aqueduct on to Yorkshire Street and follow the instructions from above. Bus 592 takes you right outside the ground. The bus takes a little over 5 minutes. From East: Exit M65 at junction 12 and follow signs to 'Burnley North A682,' into Colne Road. After 1.5 miles, turn left at the lights into Casterton Avenue. Follow signs for 'Rochdale A6114,' into Eastern Avenue. After 1.5 miles, you will reach Belvedere Road and the stadium. From North: Exit M6 at Junction 29 and on to the M65. Exit the M65 at junction 10 and follow signs for Towneley Hall. This road leads to Turf Moor. From South: Exit M6 at Junction 29 and on to the M65. Exit the M65 at junction 10 and follow signs for Towneley Hall. This road leads to Turf Moor. Towneley Park, BB11 3RQ; 5 minute walk. BB11 3AG; 4 minute walk from stadium. Once a rugby club, Burnley converted to the round-ball game in the 19th century. They were founder members of the Football League and have been top-flight champions twice (1920/21 and 1959/60) and have won the FA Cup once (1914). 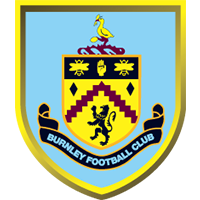 They have been known variously as the Turfites, Moorites and Royalites, but these days they are known as the Clarets. Turf Moor is one of the oldest league grounds in England and Burnley are one of only three teams to have won all four professional divisions.